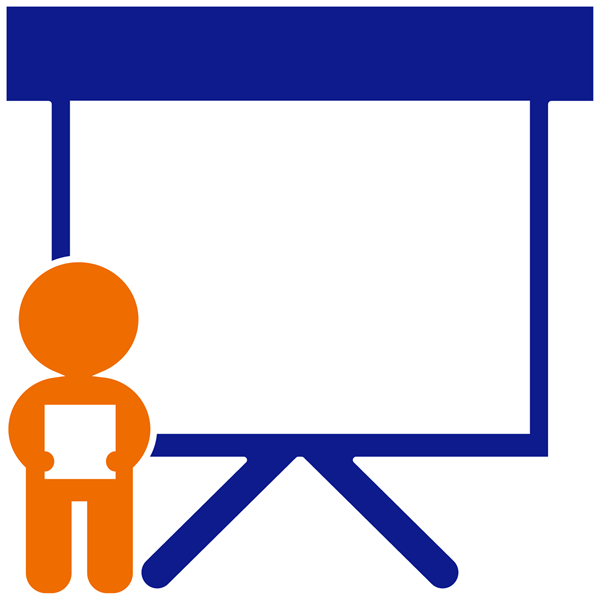 Public Speaking Lessons, PowerPoint, Google Slides | TechnoPresenter | TechnoKids Inc.
Power up an oral presentation using a slide show. Teach essential research and presentation skills. Practice public speaking. Present research findings using a slide show with speaker notes. Public speaking lessons for Google Slides or PowerPoint. HELP KIDS MASTER PUBLIC SPEAKING: Teach students to become captivating, persuasive, and powerful speakers. Use Google Slides or PowerPoint to create a unique and engaging slide show to grab and hold audience attention. Adapt the lessons to any unit of study to integrate essential technology and life skills into curriculum. HANDS-ON INQUIRY BASED MODEL: Blend language arts, social studies, science, or history with computers. 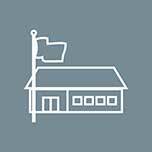 Elementary or middle school students formulate and investigate a question, research and organize facts, and then create an informative graphic presentation selecting themes, layouts, bullets, tables, pictures, and speaker notes. They use the slide show as a visual aid as they share their results with classmates. TRANSFORM YOUR STEM TEACHING: Simple-to-use resources include a Teacher Guide in PDF format with ideas for technology integration, assessment tools (checklists, skills summary, and a rubric), parent communication letter, and a certificate. Student Workbook with step-by-step instructions can be printed or used digitally in paperless classrooms. 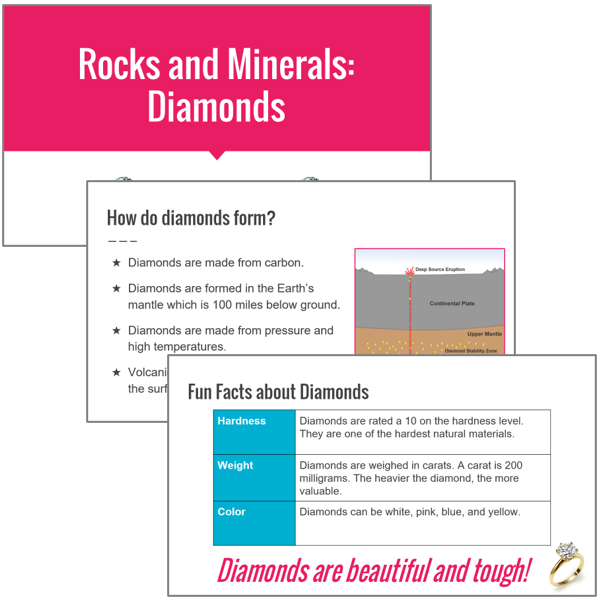 Sample slide shows on a diverse collection of topics - Diamonds, Mummies, and Vegetables - are included to spark student interest. STUDENT-CENTRIC LESSONS: Activities scaffold student learning, starting with a self-reflection about public speaking readiness, studying samples critically with guiding questions, and then learning presentation skills to create and enhance slides for maximum audience appeal. Students rehearse using speaker notes. When ready, they communicate the results to their peers and seek feedback. TIPS, TRICKS, AND HACKS: Optional challenges offer additional strategies for a presentation with impact: body language skits to practice, small group rehearsals, collaborative strategies, how to embed a video or create a graphic organizer, and how to share the presentation as a link with opportunities for peer comments. 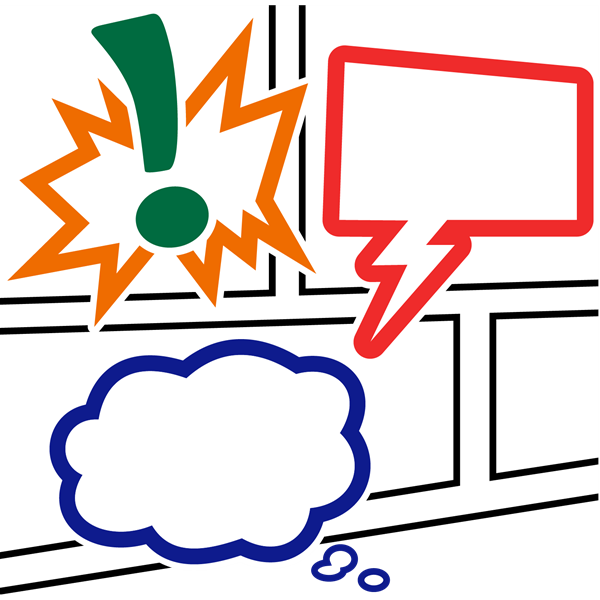 Recognize the purpose of oral presentations. Rate public speaking readiness. Examine a sample presentation to develop an understanding of the content, layout, and design. Organize ideas using a planning sheet. Select audience and topic. Formulate research question. Create a title slide. Apply a theme to produce a consistent style. Format text and images. Summarize essential information on a slide using a bulleted list. Elaborate using the notes pane. Classify facts into categories using a table. Expand upon a key point using the notes pane. Capture audience attention. Enhance slides and emphasize information using graphic objects. Self-evaluate slideshow quality. Revise the presentation to improve appearance and clarity. 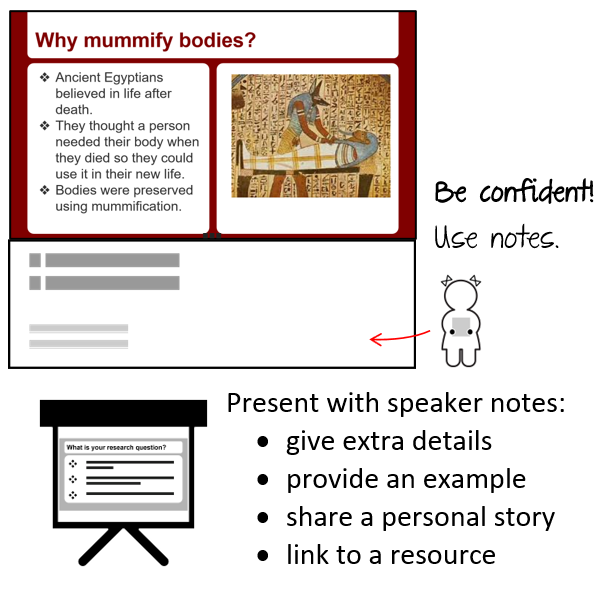 Practice public speaking by presenting with digital or printed speaker notes. Communicate research findings. Engage the audience using a slideshow as a visual aid. Work Together: Collaborate with a friend. Create a joint presentation. Insert a Video: Embed a video from YouTube. Create a Graphic Organizer: Use a graphical layout with shapes. Animate Information: Control the flow of information with animation. Presentation Rehearsal: Practice in front of a small group. Receive feedback. Body Language Skits: Learn about effective non-verbal communication. Ask an Expert: Share presentation as a link. Peers ask questions. Use TechnoPresenter with unlimited users at your site. A site is a physical location such as classroom, school, learning center, daycare, library, or home. If you teach at multiple sites, you will need to purchase one set for each location. Individual projects are downloadable. Order 5 or more projects or a set and receive a USB drive. Transfer the files to all devices at your site. View the PDF teacher guides and workbooks digitally or print as many as you need. Files CANNOT be posted in public domain. 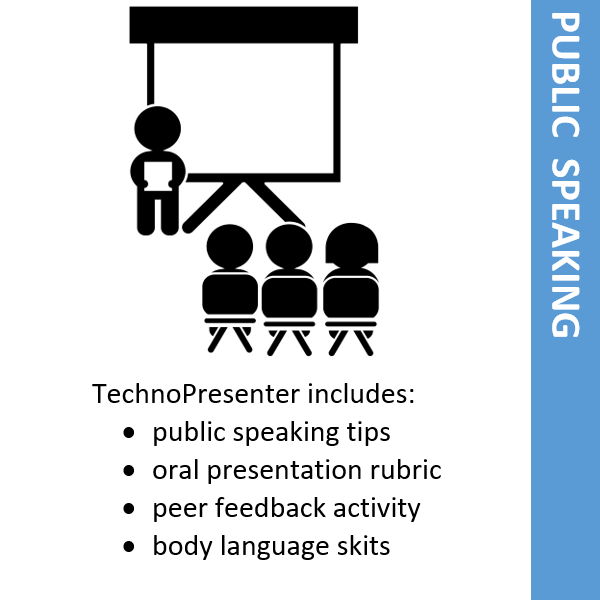 TechnoPresenter public speaking lessons are ideal for students in Grades 3-8. Elementary or middle school students give an oral presentation on any area of study including a topic from science, social studies, history, geography, or health curriculum. The activities introduce essential skills and provide a foundation for future learning. 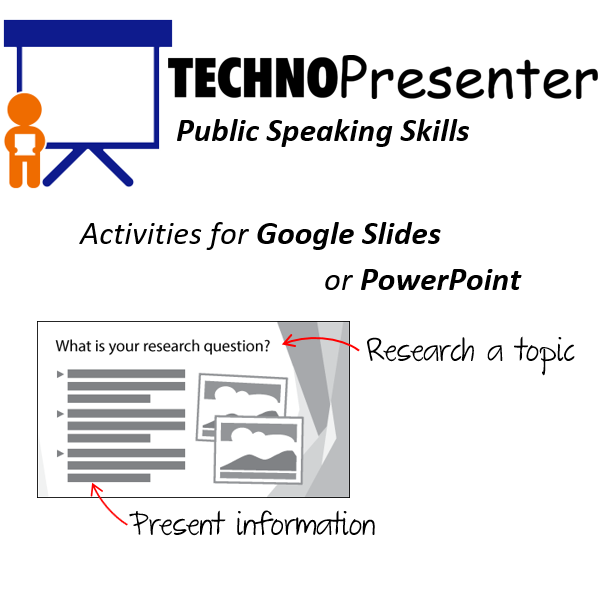 Use TechnoPresenter public speaking lessons to integrate research and technology skills. An inquiry-based approach is used to formulate and investigate a question. The topic is researched and facts are organized in a bulleted list and table. To prepare for public speaking, students follow instructions to write a set of notes that accompany each slide. Upon completion, findings are communicated to an audience in an oral presentation. Additional teaching ideas explain how to collaborate with a partner, insert a video, create a graphic organizer, or animate text. It is an amazing project. I used it with grade six students, who chose an issue to talk about after brainstorming. They worked in groups to prepare, design, and give presentations to their friends. It was a great experience that included internet topic search, development of powerpoint skills, and most importantly working in teams. I love the projects and the easy to use directions. Student-centered lessons promote the practical application of technology. Teach the fundamentals with engaging activities. Create a graphic story that looks like a cartoon or animated comic strip using Google Slides or PowerPoint. Integrate creative writing with technology using digital storytelling lessons. 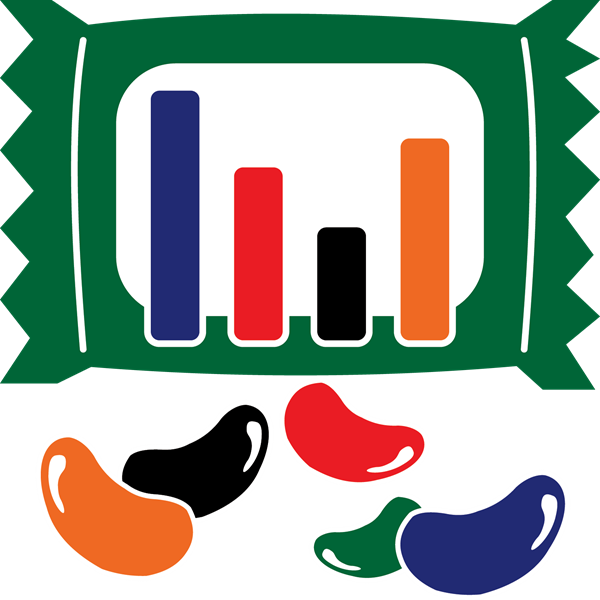 Investigate a problem, conduct a survey, research packaging, and recommend a solution using Google Sheets or Microsoft Excel spreadsheet lessons. 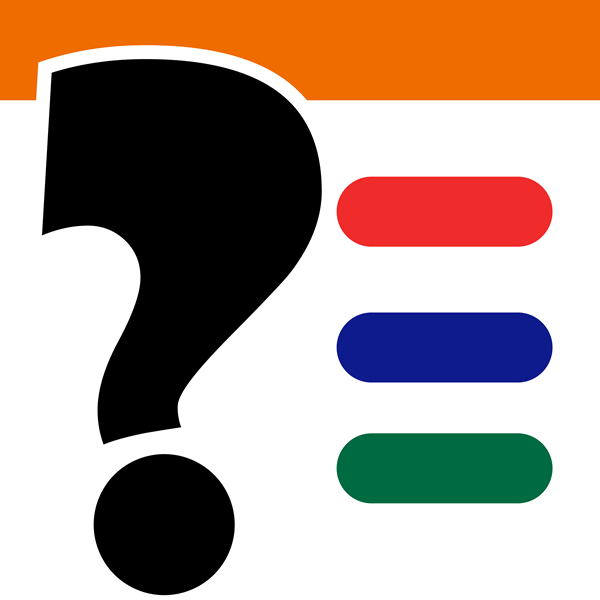 Invent a fun trivia game. Learn how to make a Google Forms quiz. Build the questions and answer key.